Jennifer Carpenter, who plays Debra Morgan on Dexter, says she thinks the sixth series of Dexter will surprise viewers. The actress, who plays alongside her ex-husband Michael C Hall in the Showtime drama, said she thinks there’s one or two seasons still to go. Jennifer Carpenter wouldn’t say what she thought might happen when reunited on set with Michael, who plays her character’s murderous brother, after the two separated last August. But she’s keeping herself busy with work, and has three films in the pipeline: The Factory alongside John Cusack; Hungry Rabbit Jumps with Nicolas Cage, Guy Pearce and January Jones, and Ex-Girlfriends, an Alexander Poe comedy – which is something that’s been missing from her CV of late. “When I was in school, I was always cast as the clown. I thought that is what I was going to do. I can’t seem to make my way back to it. 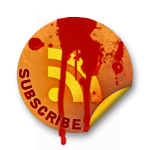 I guess once people hear you scream, they can’t un-hear it or something,” she said. Jennifer’s also currently starring in an off-Broadway play called Gruesome Playground Injuries. 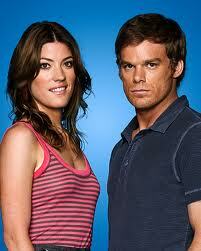 We can’t wait to see if Jennifer Carpenter’s predictions about Dexter Season 6 are true! I don’t know how Jennifer Carpenter could work with her exhusband Michael C. Hall on Dexter knowing he cheated on her with Julia Stiles!